This annual Navy-hosted event includes the public in raising money for the Navy's Morale Welfare and Recreation (MWR) programs. MWR provides Quality of Life programs for our 500,000+ active duty and retired military, reservists, their family members and civilian employees who make up our San Diego Military Family. 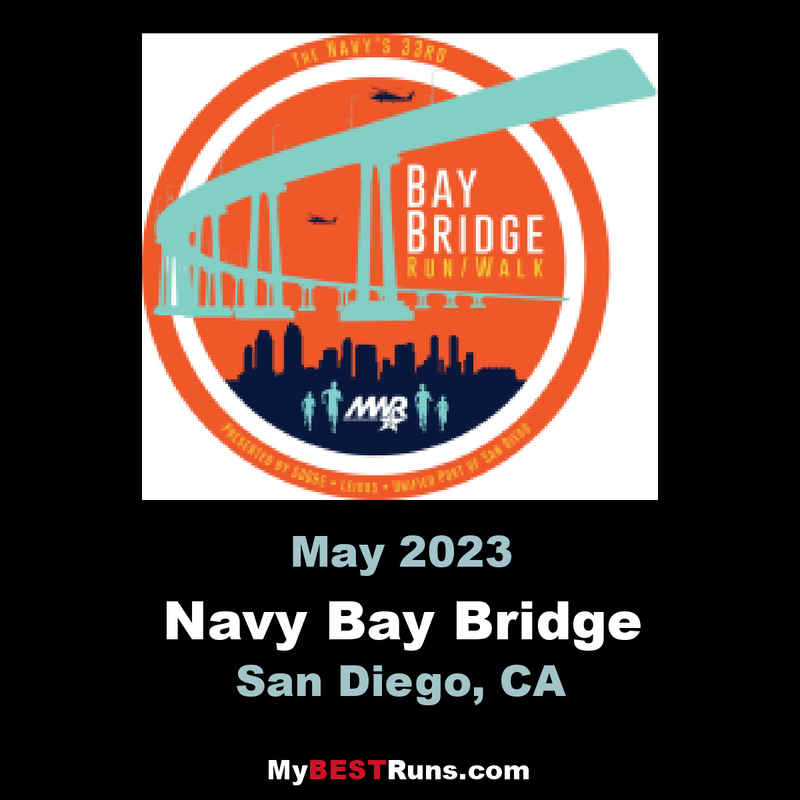 This unique 4-mile run/walk has a one of a kind spectacular panoramic view as participants make their way to Coronado's beautiful Tidelands Park from downtown San Diego over the Coronado Bay Bridge. During the finish line celebration, runners receive a special Finisher's Medal and event shirt to commemorate our 30th year, plus complimentary transportation back to downtown. See you on the bridge!